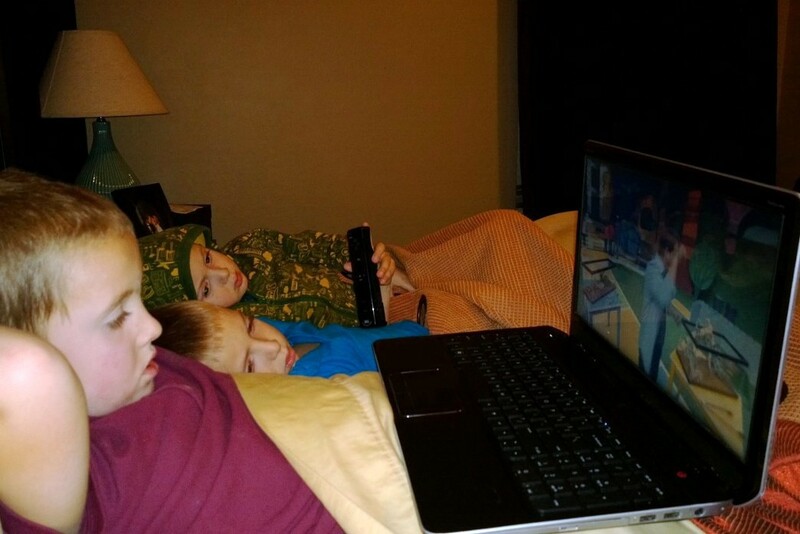 You are here: Home / Review / Kidoodle.TV a Safe Place for Kids to Watch TV! Kidoodle.TV a Safe Place for Kids to Watch TV! I participated in a Blogger Activation on behalf of Mom Central Consulting for Kidoodle.TV. I received a promotional item and a free trial as a thank you for participating. My husband has been traveling for work this week, which means this is what our evenings sometimes turn into relaxing in bed. After a long day of carpools, meals, changing diapers, playing with the kids, cleaning, working, and all the other responsibilities that have to be met, when it gets to the end of the day we all cuddle up in bed, turn on a show, and just relax, veg, and enjoy each others company. To avoid commercials, ads, and other distractions, we turned to Kidoodle.TV to pick out a show. My kids really enjoy the game shows for kids, especially Family Game Night! We watched an episode with the families compete to play boggle where they would literally hop from one letter to the next creating their words in the large boggle screen. An hour or so after we watched the show, my 3 year old was hopping all the way down the hallway calling out different random letters! It was so incredibly cute, I wish I would have caught it on video! It reminds me that kids are learning in everything they see and that educational shows can be based all around fun! Kidoddle.TV is a kid friendly TV streaming site that lets parents have control. I set up a free account, they are offering free service throughout the month of December. Under the parent login, I could then set up different kids and select appropriate channels and shows I was okay with each of them viewing. My three older boys all have their own channel set up with shows that they will enjoy. 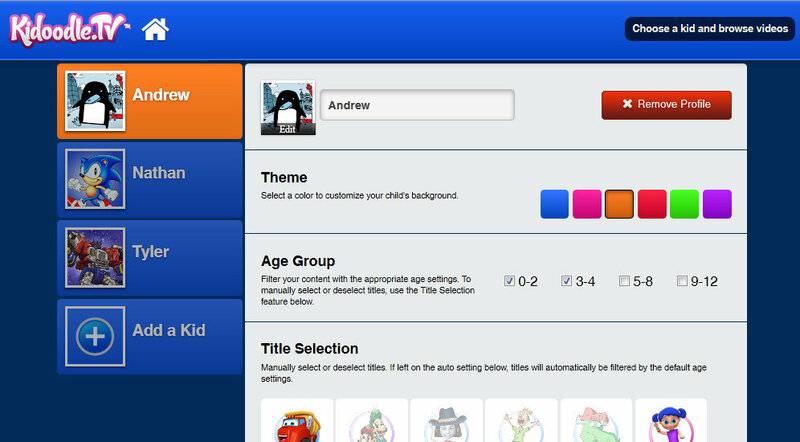 You can add up to five different kids channels under your parent account with customized settings. 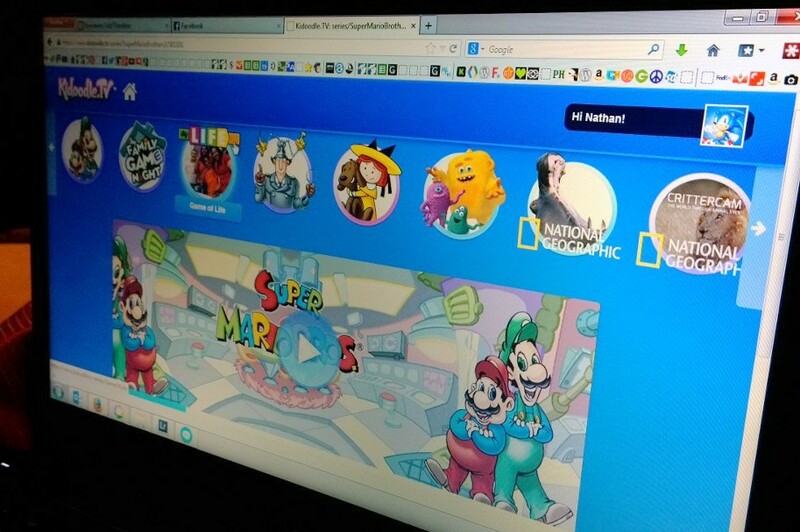 I was really impressed with how easy it is to browse and navigate on Kidoodle.TV. My 7 and 5 year old boys have no problem getting around the site using my laptop and it’s so clean and clutter-free that they haven’t had any issues. Their layout was designed specifically for the ease of navigation for kids ages 12 and under. My three year old can’t navigate very well with my mouse or keypad, but he would totally be able to navigate on a tablet or smartphone. Kidoodle.TV is available for the iOS operating system for both your phones and tablets. I am looking forward to when they release an Android or Windows Phone app so I can use this service on the go as well for Doctor’s appointments, grocery stores, or whenever the kids need a bit of distracting. Best of all, you’ll notice that there is NO advertising inside Kidoodle.TV! That means your young children won’t navigate away by clicking on an ad that takes them off the site. 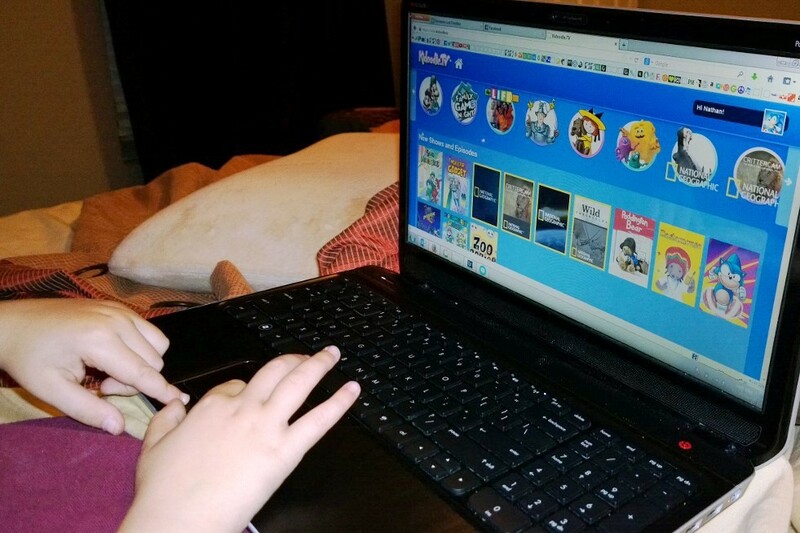 Give Kidoodle.TV a try this month while they still have a free account option. You won’t enter any credit card information, just an email to get started to create your own account. Kidoodle.TV is also giving away 10 tablets and 10 year long subscriptions to Kidoodle.TV! Want to enter to win either of these great prizes? All you have to do is create your free trial account at www.kidoodle.tv! Previous Post: « Christmas Songs for Kids – Free Printable Songbook!